When it comes to men’s fashion, no clothing item has as many variants as shoes. So finding that perfect pair which oozes style while still being functional may not be a piece of cake. And as they say, a man can be judged by his shoes. You need to make sure you invest in the right pair, especially if you’re looking for athletic shoes. Shopping online for sports shoes is much harder than its formal and casual counterparts, as you need to ensure that the model you choose is suited for the type of activity you’re buying it for. Buying the wrong design may adversely affect your performance, and in a worst case scenario, may even increase your chances of having an accident. Therefore, you need to invest in not only the right design but also the right brand. This men’s shoe guide will help you pick out the right Adidas shoes for you. As a basketball enthusiast, professional or amateur, you should look for quality and longevity in your shoes. Knowing the type of your field play – power play, speed play, defensive, etc, will help you determine the kind of shoe cushioning you should opt for. If as a player you require a flexible pair of shoes, you may have to compromise on support, as support and flexibility are trade-offs. 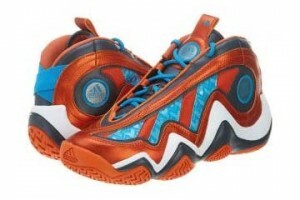 The Adidas Crazy 97, shown above, features a synthetic leather upper and rubber outsole and offers a perfect mix of both. With ever-changing designs and technology, football shoes are certainly a necessity for the game. 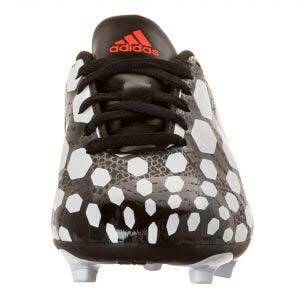 Players prioritise both comfort and aesthetics while purchasing football shoes. Therefore, opt for a stylish pair that boasts of molded cleats as they offer good traction. Adidas offers a wide range of options when it comes to football shoes. For example, the Adidas Predito footBall studs, shown above, sport child spikes, which were designed specifically for the Brazil World Cup. These highly affordable shoes have a synthetic surface material and lightweight EVA insoles to provide maximum comfort and breathability. You can find your ideal pick from the vast assortment of styles available online. 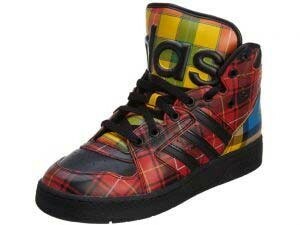 Need a chic and stylish pair of sneakers to hit your local watering hole with your friends? A colourful, printed pair like these would perfectly fit the bill. Boasting of a comfortable and sturdy synthetic leather upper and rubber outsole, these shoes would be as apt for your morning hikes as your casual outings.